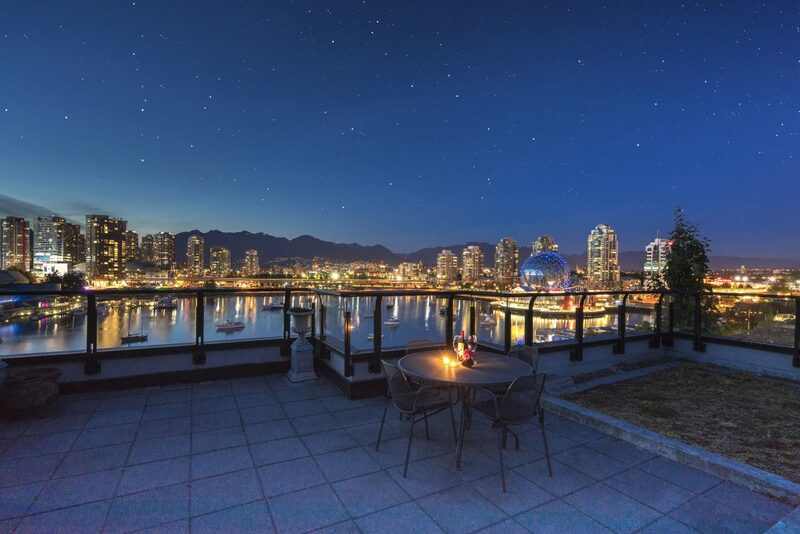 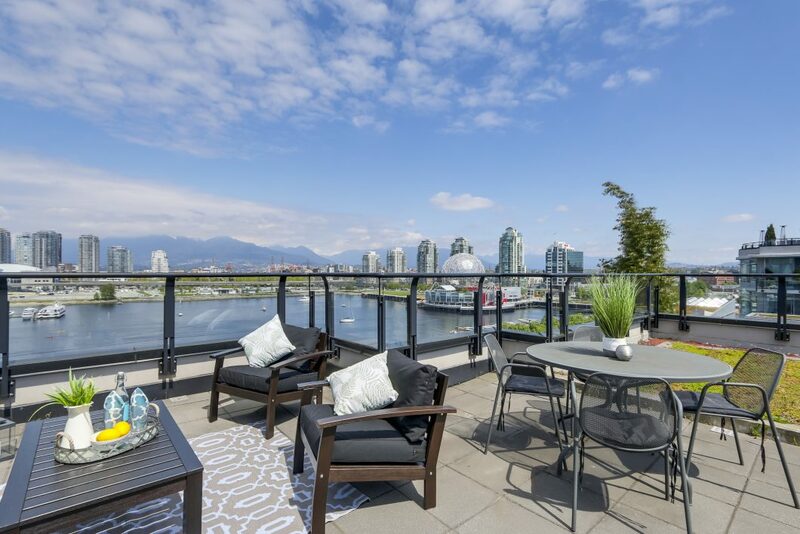 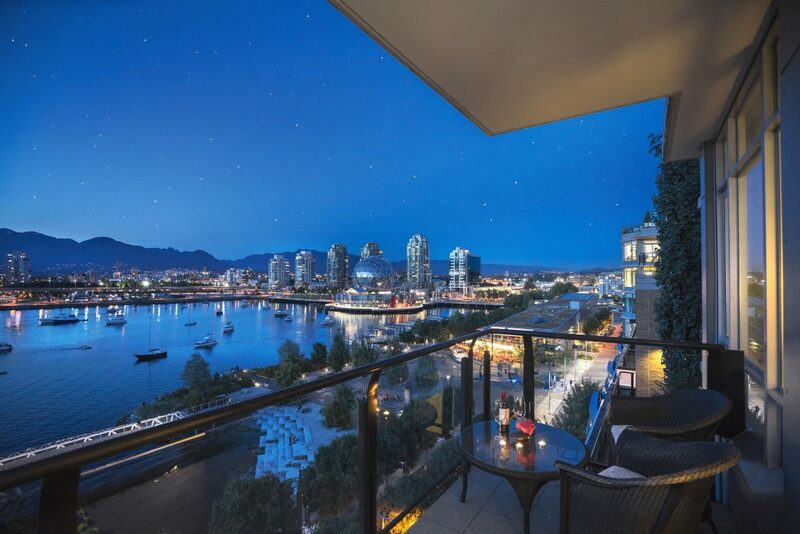 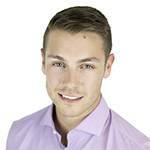 Waterfront penthouse in the heart of the Olympic Village. 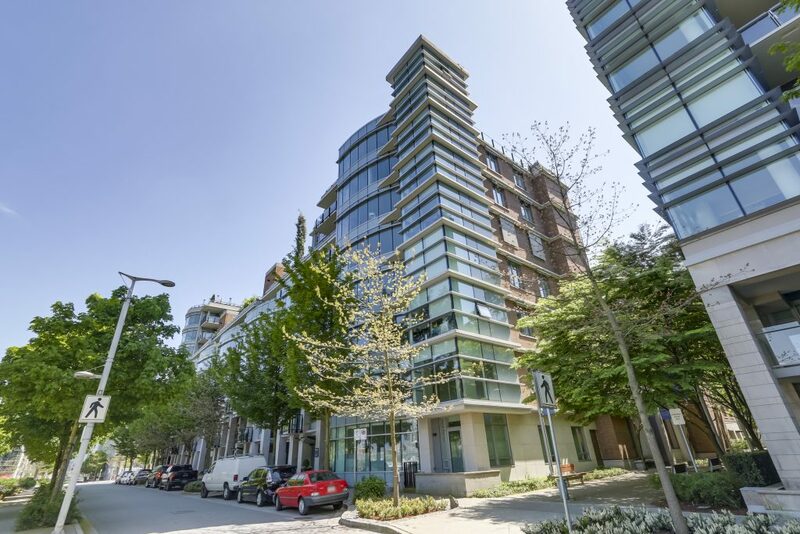 This truly is one of the rarest properties on the south side of False Creek. 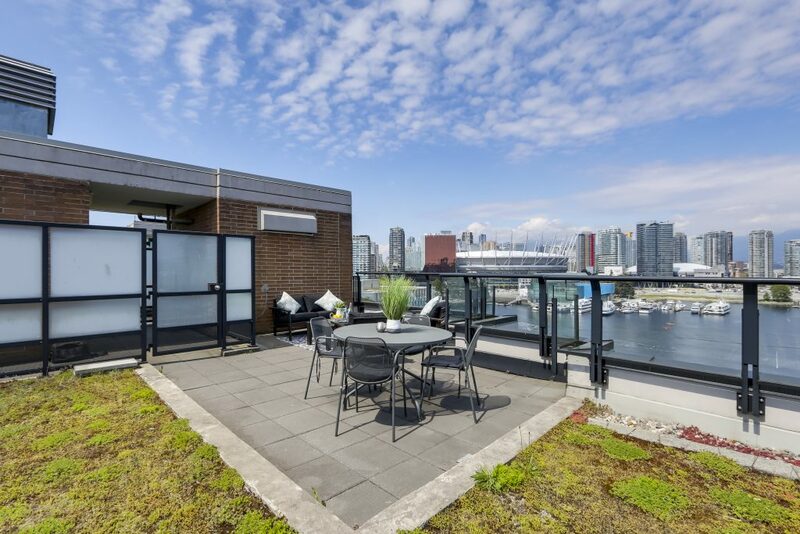 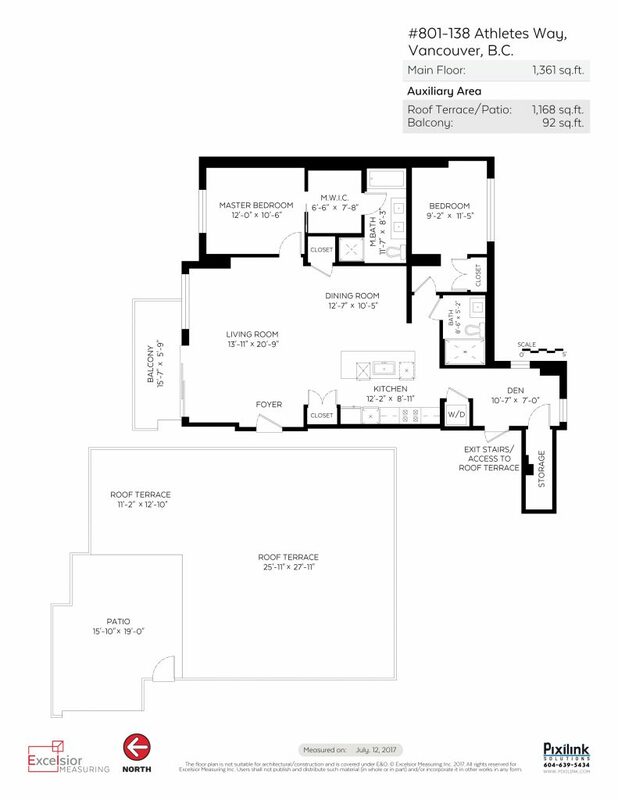 1370 square feet of functional and modern living PLUS private rooftop deck. 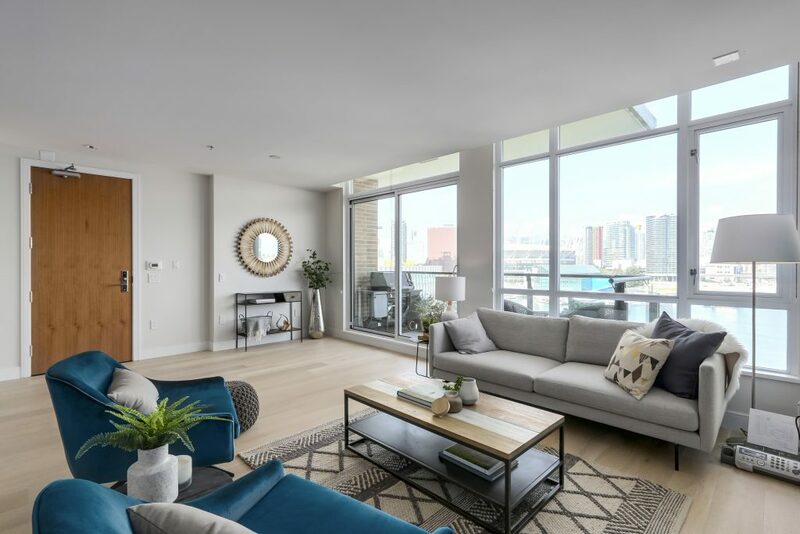 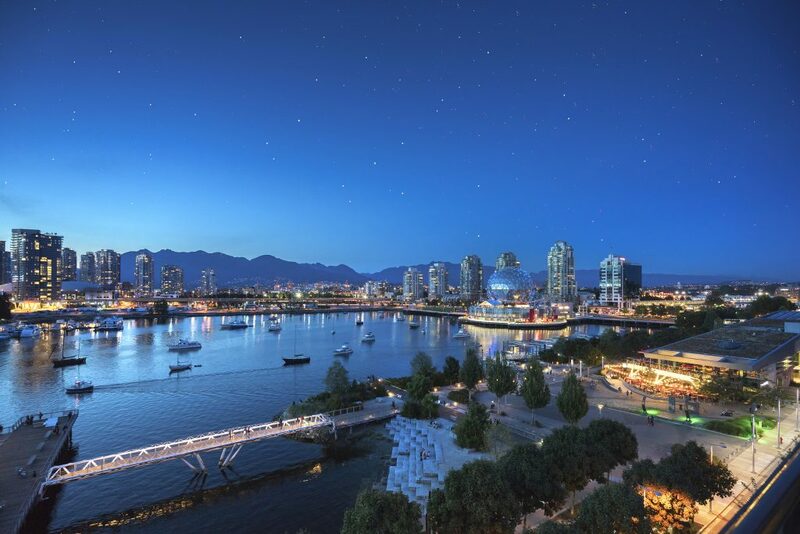 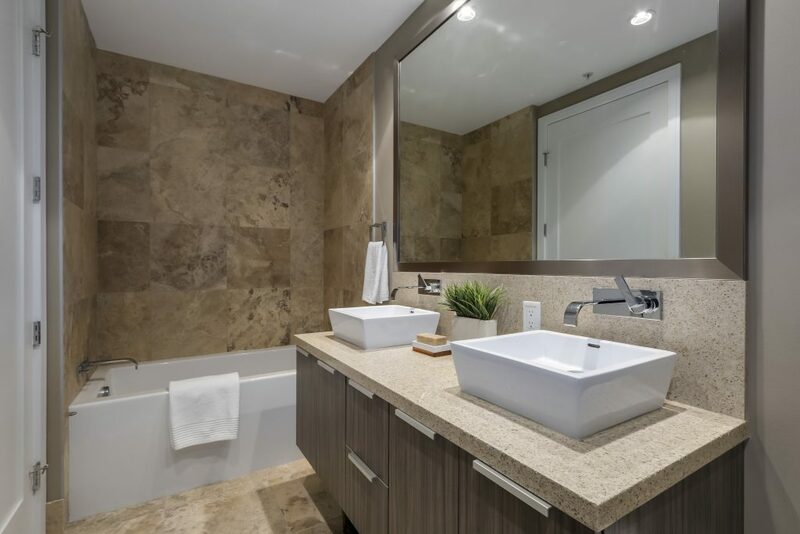 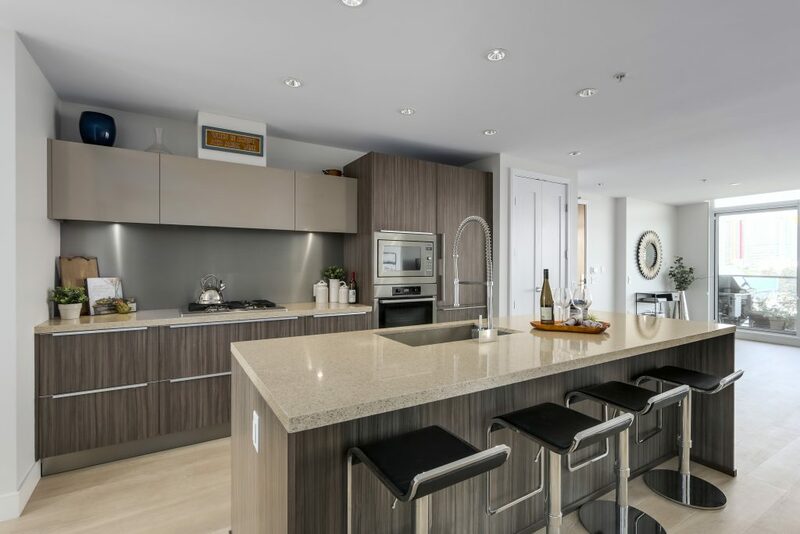 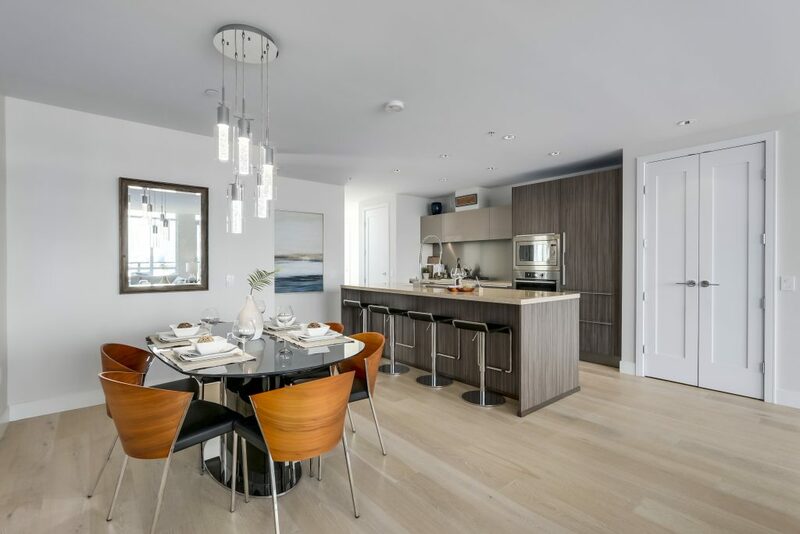 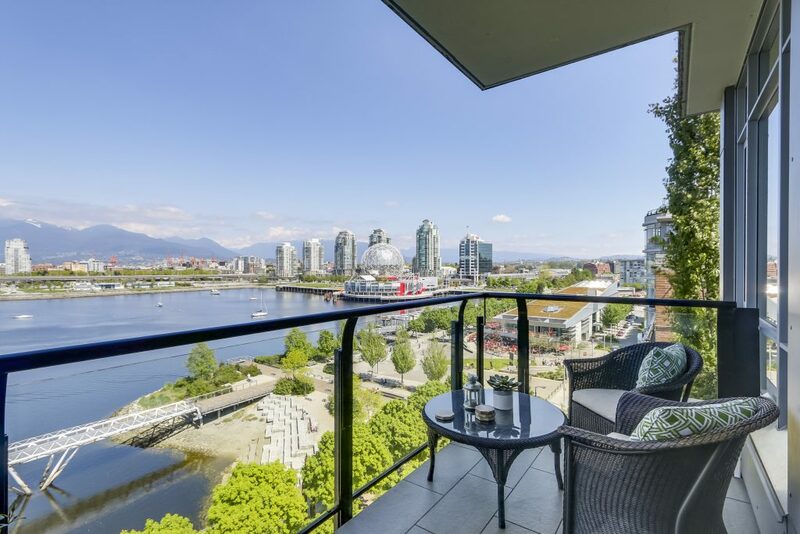 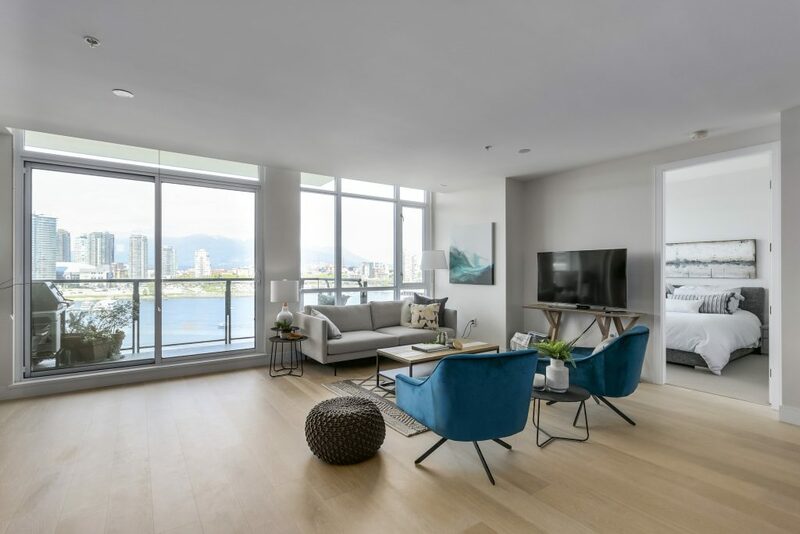 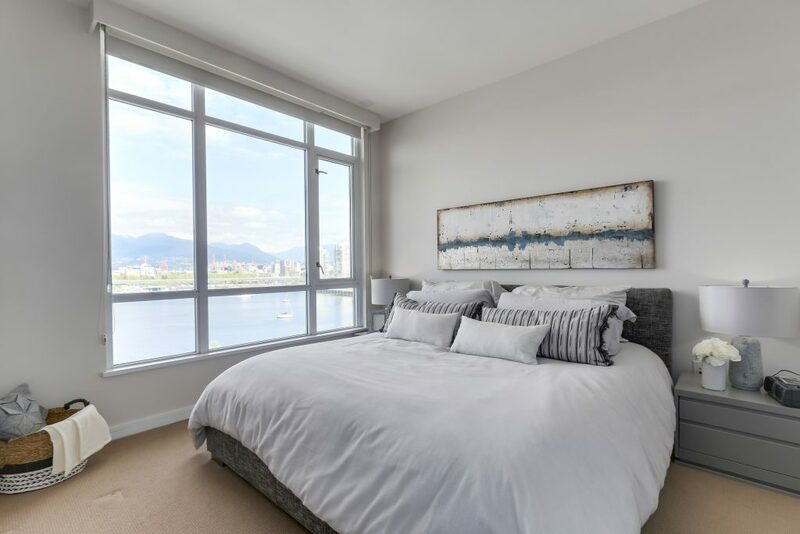 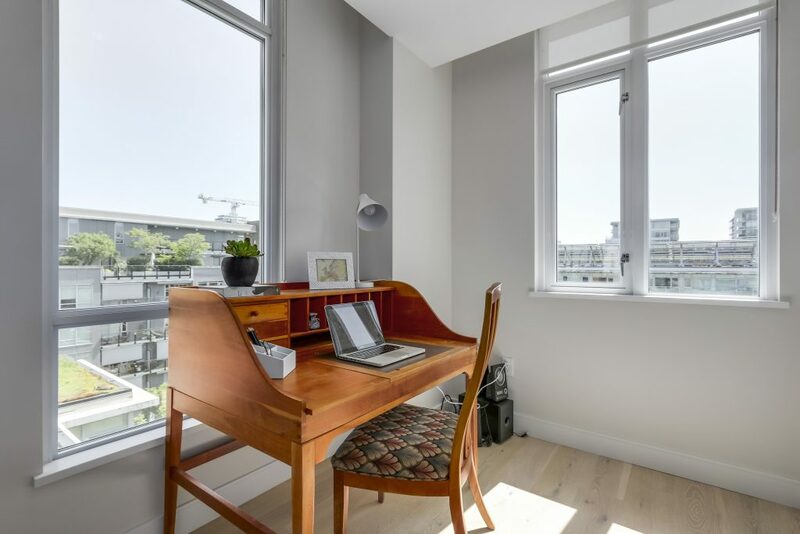 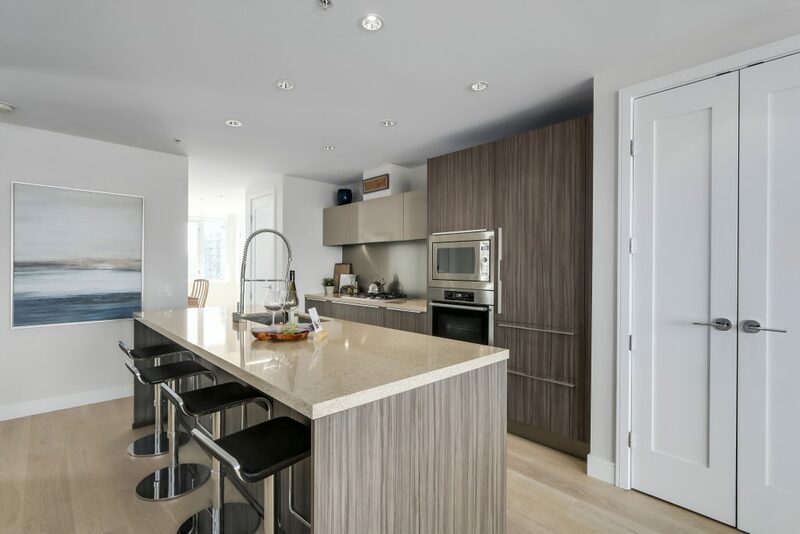 Open the front door and step into the bright and spacious living area with a wall of windows gazing out onto the mellow waters of False creek and across to the North Shore mountains. 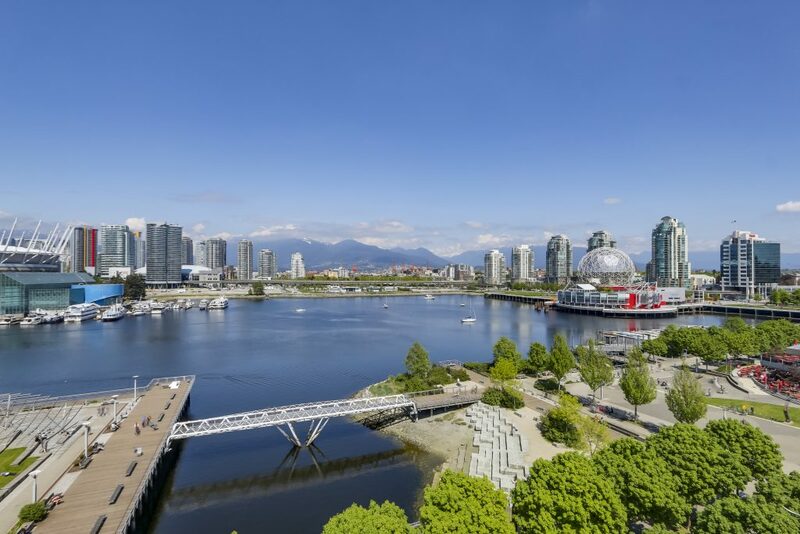 Forever unobstructed views of Science World, BC Place, and the Downtown skyline. 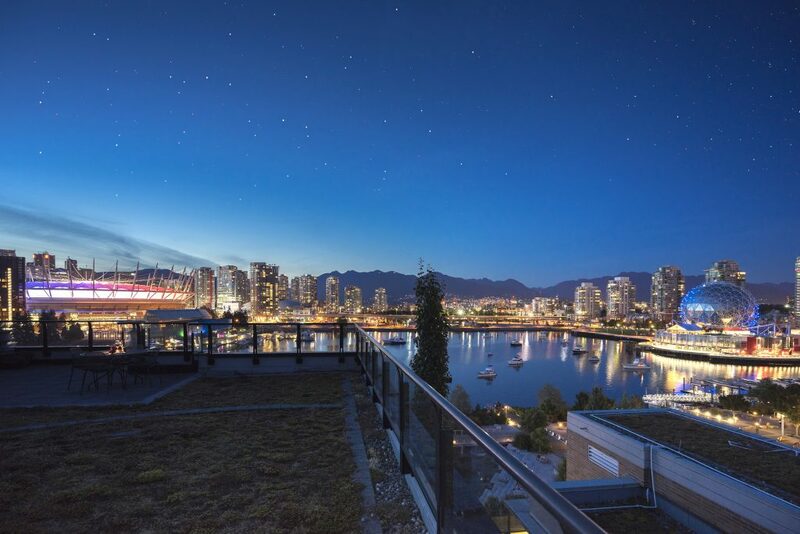 An absolute one of a kind perspective. 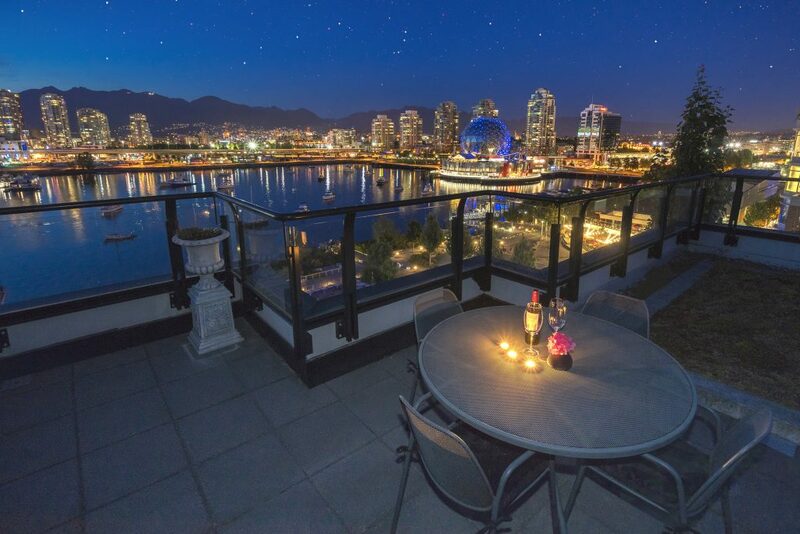 The main level balcony features a gas hookup for BBQing plus ample room for a seating area OR walk up the stairwell directly accessed from your suite to a MASSIVE rooftop deck mere meters from the water. 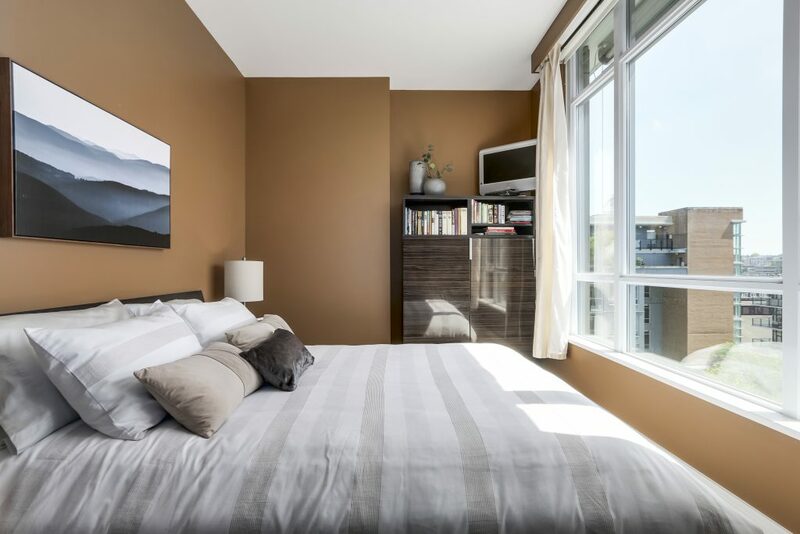 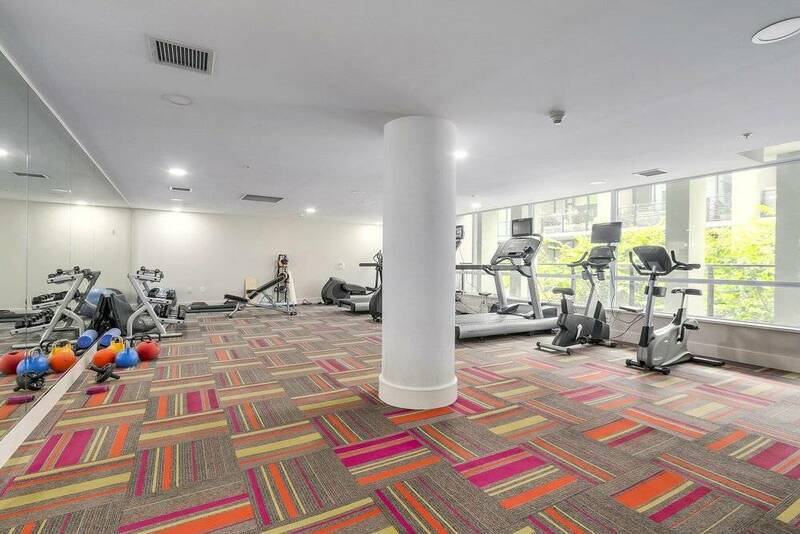 Recent 2017 renovation, separated bedrooms, fully tiled bathrooms, designated office space, ample in-suite storage plus locker underground, and 2 parking stalls. 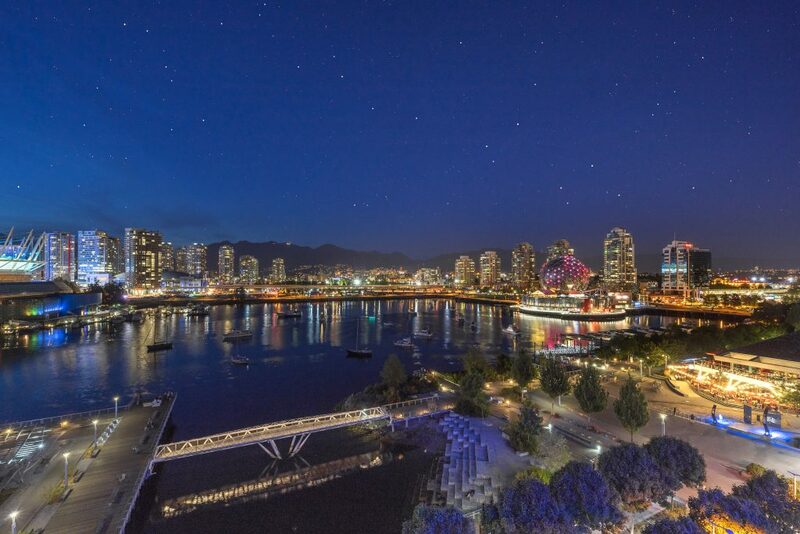 This is one that cannot be replicated. 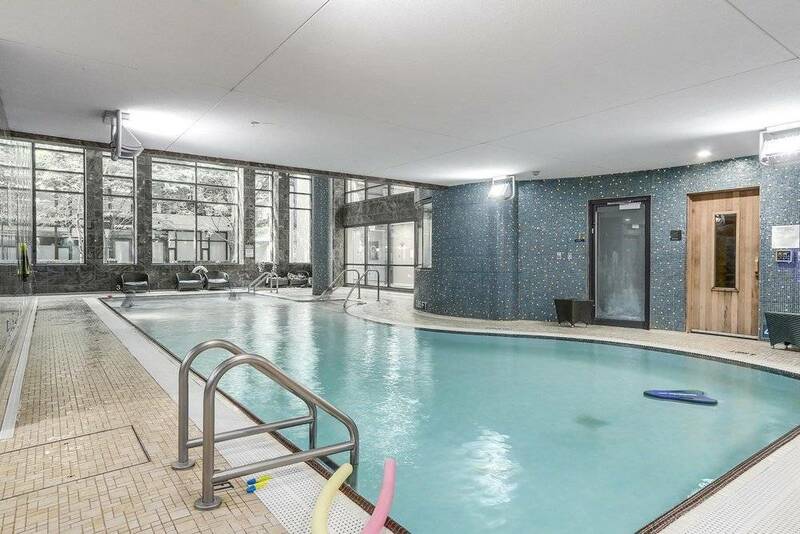 Gold medal club amenities featuring pool, hot tub, sauna/steam and exercise center. 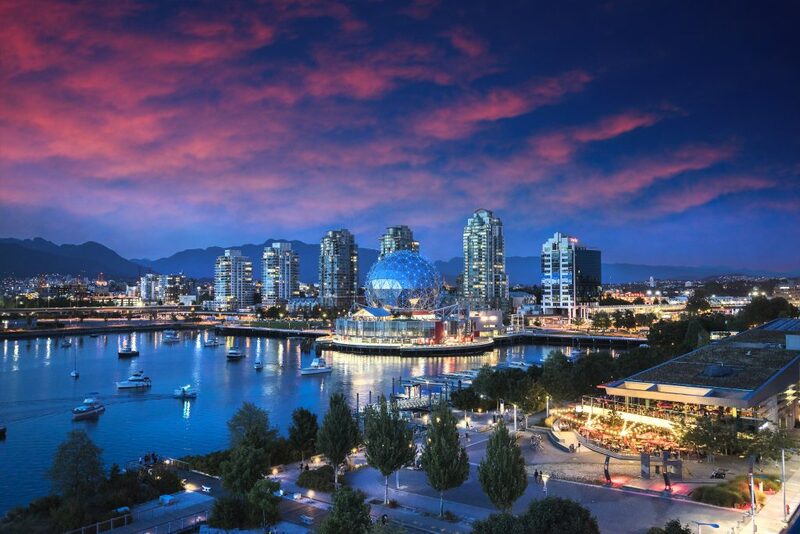 Steps to Seawall, Urban Fare, Tap & Barrel, Craft, Terra Breads, London Drugs and so much more. 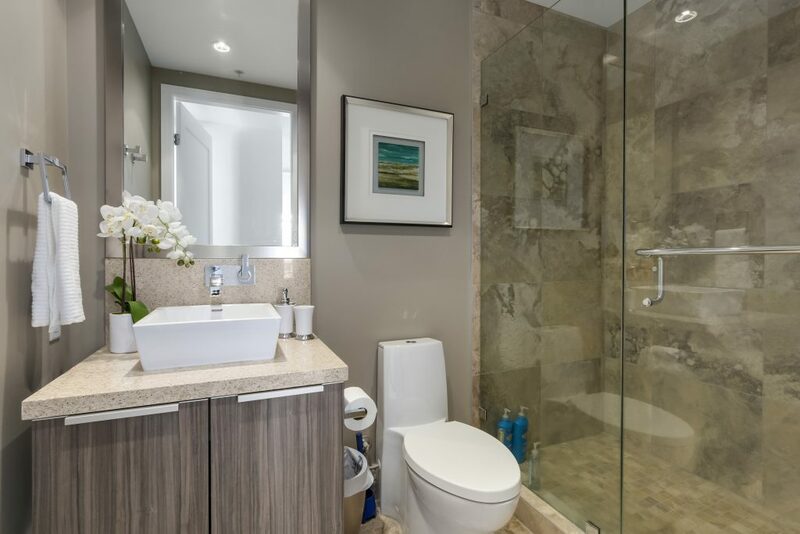 This is a trophy property in the heart of one of the most vibrant communities in the city. 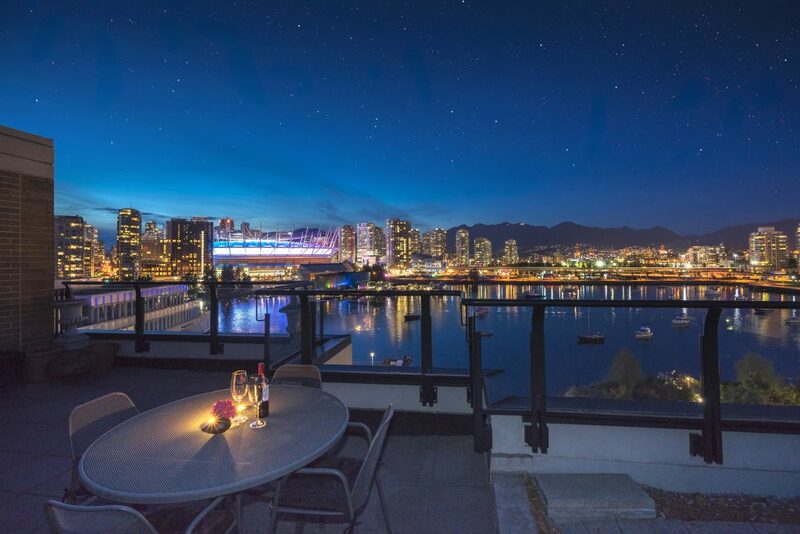 Capitalize on this rare opportunity to own a piece of exclusive Vancouver history.